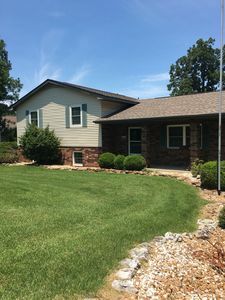 With 2 full bedrooms and 3 baths, this home can comfortably sleep a group of 6. Its breathtaking location on the scenic White River is the perfect spot for families to relax and do some astounding fishing together, or hike and explore the majestic scenery. 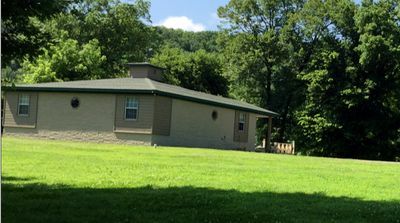 TroutFest's screened-in porch, pool table, outdoor grill, and unbeatable fishing makes it an awesome venue for weddings, reunions, and more! 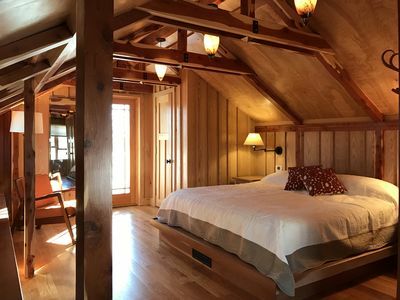 The 2-story home welcomes guests with its traditional architecture and homey feel. As soon as you arrive at this haven, you'll feel right at home. 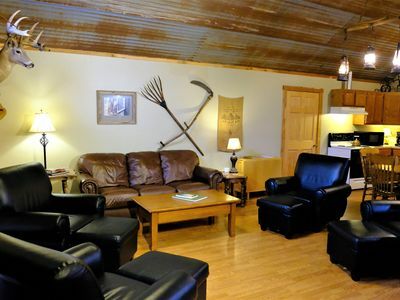 This is the perfect destination for families or groups of friends who want a to switch from city life to a relaxing getaway in the heart of America. 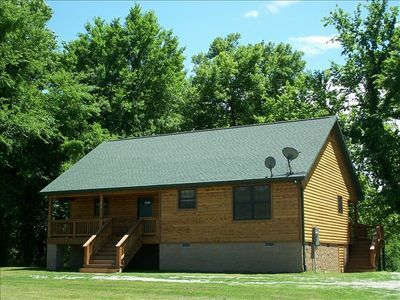 With 2 full bedrooms and 3 baths, this home can comfortably sleep a group of 6. 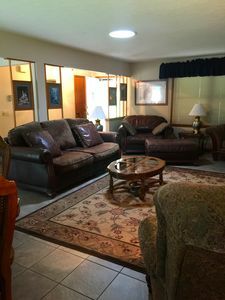 The property has both electrical and sewer hookups should your RV join you on the trip. A fully updated kitchen with stainless steel appliances offers the perfect space to cook your favorite meals and enjoy them with your fellow traveling companions. 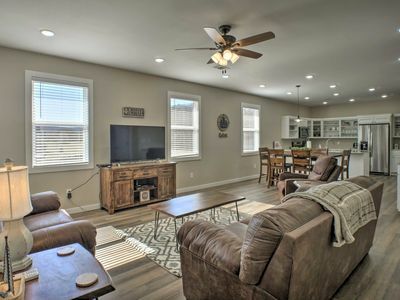 You'll love all the extra amenities this home has to offer like a pool table, fire pit, DVD library and outdoor grill. 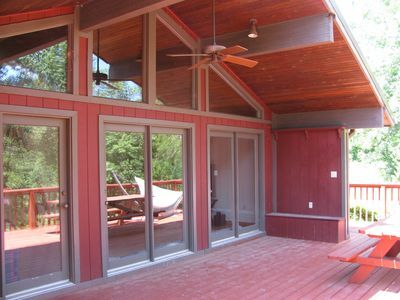 Challenge your fellow guests to a game of horseshoes or enjoy cool evenings on your very own screened-in porch. 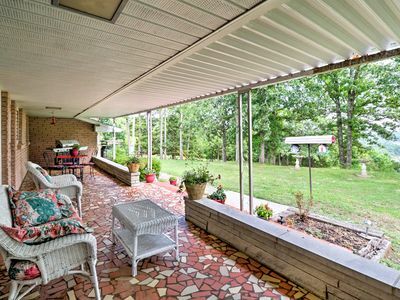 Visitors will love the sprawling open space surrounding this charming home. This is the perfect spot for groups to relax while fishing together, or just enjoy the scenery. Hikers will be pleased to explore the breathtaking trails. The homeowner can even arrange guided boat tours for you and your group to sit back and relax while taking in the views. 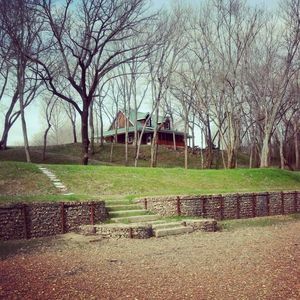 Families are sure to create lasting vacation memories while visiting this enchanting Arkansas property! 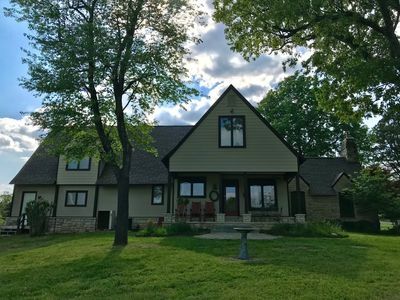 This home is a fantastic riverfront property for weddings, reunions, camp groups, church groups, etc. 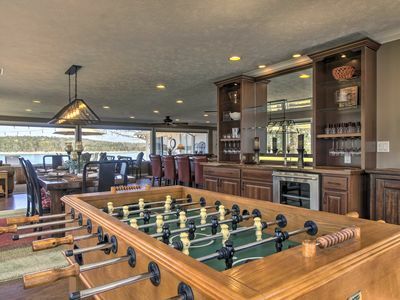 The property has an incredible lower shelf that can accommodate up to 100 guests. It has a pavilion with benches, fans, sound system, smoker, dutch oven and more. We have full RV hookup capabilities and both water and electricity can be run to the lower shelf. 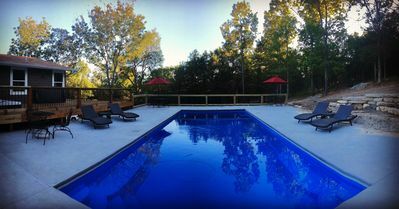 The property is available for events as is: any additional requests will be fulfilled dependent on time and material needs. The event pricing is for the use of the lower shelf. 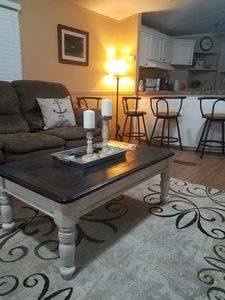 This fee is in addition to renting the home. We can cater to whatever your needs may be. However, please note that only 6 people are allowed to sleep in the home at a time. This is a strict policy with no exceptions. 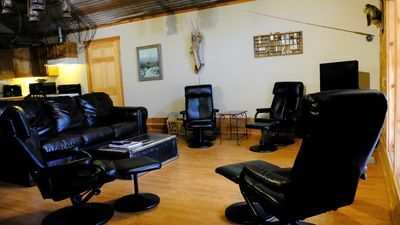 For parties over 100 people, rates will be negotiated separately. Camping on the lower shelf is welcome. 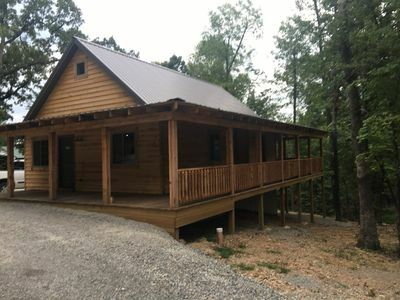 North Fork River—Only Private Cabin on the North Fork River Trophy Waters!! 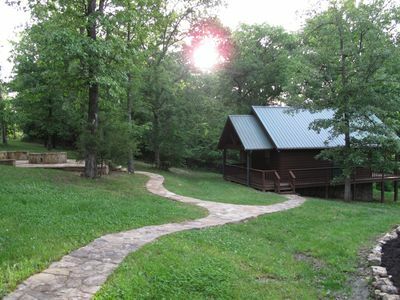 Fall Creek Cabins family friendly 1 mile from Lake Norfork and Mountain Home Ar. Welcome Families! 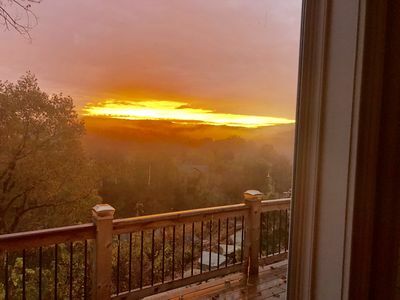 Secluded Home with Close Access to Lake and Town. 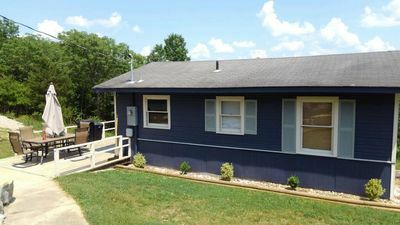 3 bdrms, 1 bath, sleeps 8 with a river view in the distance. Extra Services! 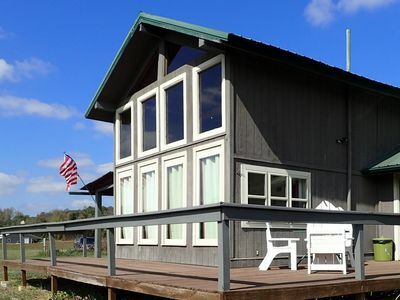 3 bedrm, 3 bath, sleeps 8, kitchen, host offers guided fishing & canoe rentals. Lake Norfolk and White River Family Vacation Fun! NEW! 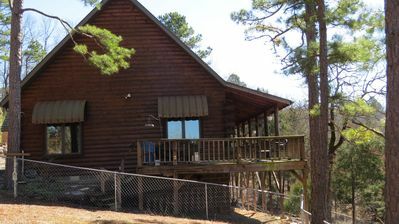 Mountain Home House w/Grill on White River!